The Gooding & Company’s East Coast auction on Friday featured more of Jerry Seinfeld’s ultra-rare cars than you could count on both hands, and he sold them for more money than any of us could count, even as a group effort. That auction pull included profit from all but one of Seinfeld’s cars, which failed to sell. Seinfeld took a total of 18 cars—16 Porsches and two Volkswagens—to auction at the event, selling 17 of them for a whopping $22.2 million total. The final sale came out to be more than $10 million under the max estimate for his collection, which was at about $32.5 million prior to the auction. Talk about a difference. While one would imagine all of the cars to sell simply for belonging to Seinfeld, the one vehicle that failed to do so was a non-drivable 2000 Porsche Carrera GT Prototype. According to the auction listing, the car is one of just two Carrera GT prototypes built by Porsche. The auction estimates were between $1.5 million to over $2.2 million for the car, but it looks as if Seinfeld will keep it a bit longer. Among the notable sellers in Seinfeld’s fleet were the 1974 Porsche 911 Carrera 3.0 IROC RSR and the 1960 Volkswagen Beetle, which both sold for around twice their estimated prices. The IROC went for over $2.3 million when estimates had it hovering between $1.2 and $1.5 million, while the Beetle went for a far lower sum—its max estimate was $55,000, and the final sale hit $121,000. More noteworthy were the undersellers, and that list is a long one. 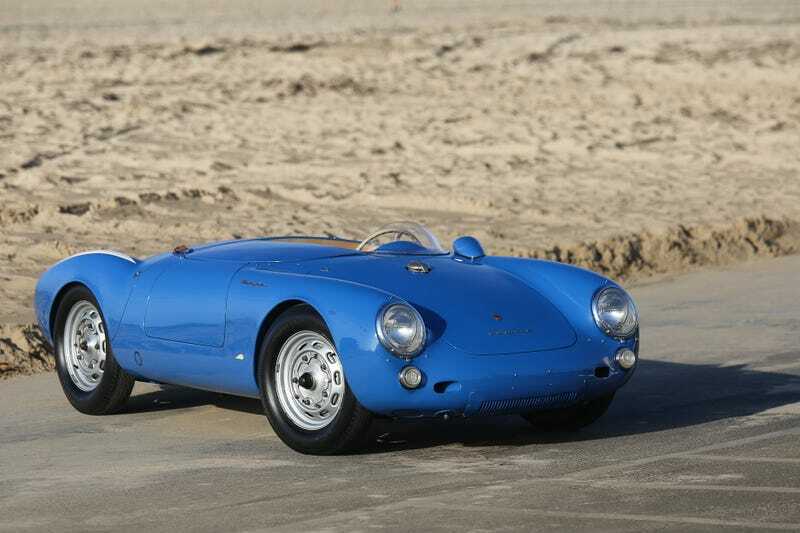 Seinfeld’s 1958 Porsche 356 A 1500 GS/GT Carrera Speedster sold for just over $1.5 million when auction estimates had the sale between $2 million and $2.5 million. The 1959 Porsche 718 RSK and 1973 Porsche 917/30 Can-Am Spyder also sold for far less than expected, with the latter ringing in at $4 million its max estimate. The full list of Seinfeld’s cars that went up for auction can be found here, and the links within the post will provide updated sale values. While not Seinfeld’s car, a 1995 Ferrari F50 went for $2.3 million at the auction as well. By this point, you’re probably curious as to why Seinfeld would sell so many of his cars in the first place. Before we found out just how many of his vehicles he planned to auction, Seinfeld said “it’s time to send some of them back into the world” for someone else to enjoy as he has. What a nice thing for Seinfeld to do—you know, for people who have enough money to afford the cars he’s sending back into the world. But hey, even those folks managed to give him less than he expected.